But although the shift away from coal is growing, these early movers still need to do more, and most insurers have yet to do anything to prevent the risk of dangerous climate change. 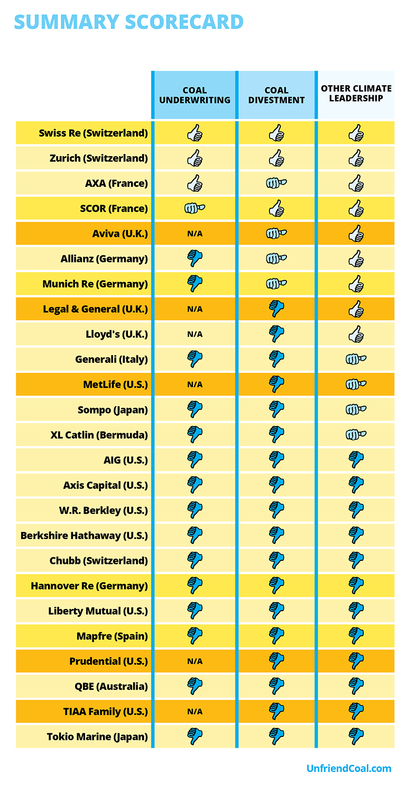 This summary table shows how 25 leading global insurers score on underwriting coal projects, coal divestment, and other climate action. The scorecard is based on responses from 17 companies – including four from CEO’s – and information from industry surveys, company literature, and websites for all 25. A more detailed scorecard is included in the full report. Fifteen insurers are collectively divesting about $20 billion from coal companies, and some are ceasing to underwrite coal. In response to public pressure over climate change, insurance companies are increasingly pulling out of the coal sector in response to climate change. 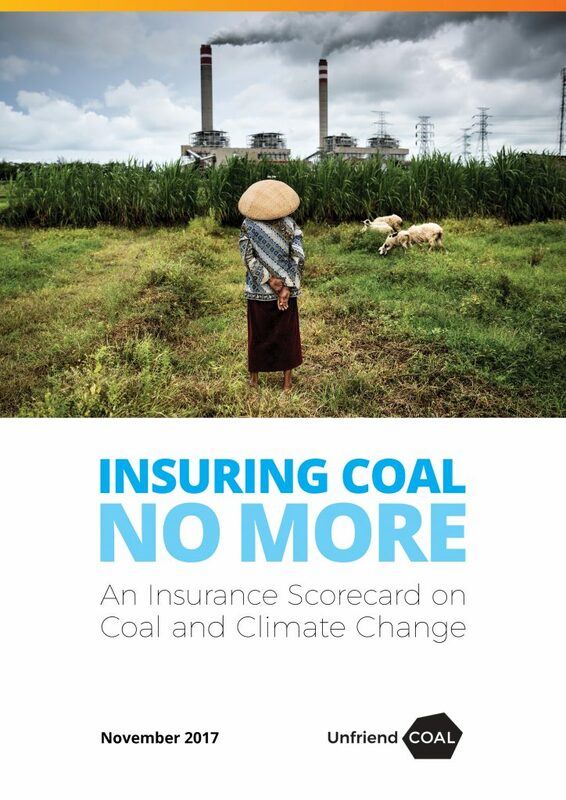 In 2015 AXA became the first global insurer to reduce investment in coal and now 15 insurers with just over 4 trillion USD in assets have taken action. 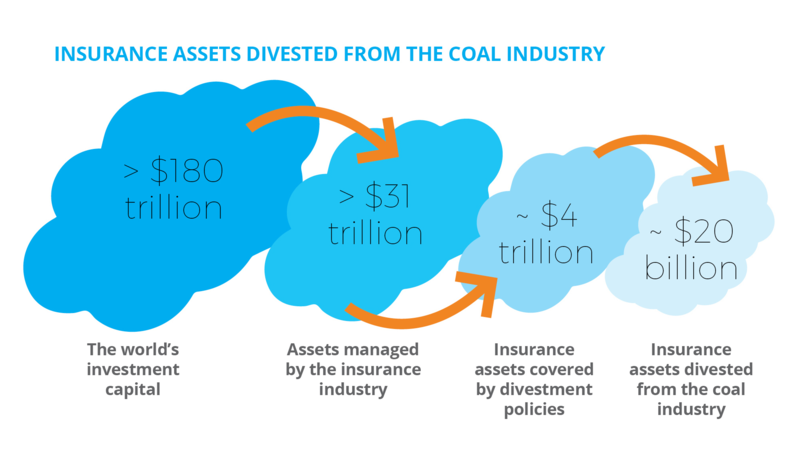 They are collectively divesting about $20 billion in equities and bonds from coal companies or are ceasing to underwrite coal projects, thus making coal uninsurable. The early movers represent about 13 percent of all the assets managed by the global insurance industry. The shift of insurers away from coal is now gathering momentum. Zurich just announced that it will divest from and cease underwriting companies which depend on coal for more than 50% of their business. In addition Swiss Re and Lloyd’s will prepare new policies in the coming months. Some of these new policies go beyond the efforts undertaken by early movers such as Allianz, Aviva, AXA and SCOR.